New Listing: 6705 Tingley Street, Savona, Kamloops, BC $679,900. 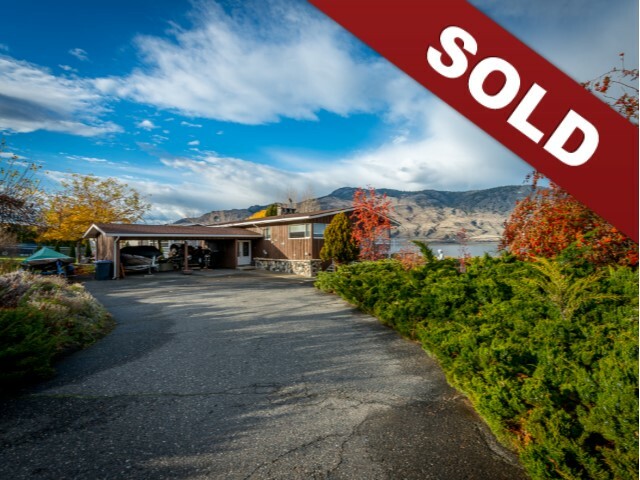 Beautiful waterfront Gold Medallion home sitting on picturesque Kamloops Lake. Home is centered on one of the four deeded lots and three of them can be divided off. Main floor has a cozy wood burning fireplace in the living room and large windows overlooking the lake. Eat in kitchen with large wrap around deck perfect for entertaining. All the bedrooms are large and a fantastic laundry room on the main level that is also a sewing room or 2nd office. Basement is fully finished with big windows for lots of light. Separate entrance so easy to put in an inlaw suite. Sauna has 2 showers or could be converted to one big bathroom. Many updates including roof 2015, Furnace 2013, central a/c 2016, and the deck was recently re done. Less than 30 min to Kamloops.